If you’re a purpose-driven entrepreneur it’s likely you have a big heart and a big vision. And you want to achieve your goals as quickly as possible so you can reach more people and build a successful business. Having built my own businesses, worked with many successful business owners, and studied countless more, there are three key traits common to them all. What are they and are you taking full advantage of them in your business? Successful business owners have clarity about what they are doing and why. They are crystal clear on their audience and their message – what they stand for. Once they know these two things they bring them together into a clearly stated value proposition their audience will buy. One of my clients runs an extremely successful brick and mortar practice and is now creating success in her online business. She has spent time creating an audience and we’ve worked together to help her build her Facebook Group community and really listen in and talk to them. She’s hitting home runs online now because her message is now super-dialed into her audience. 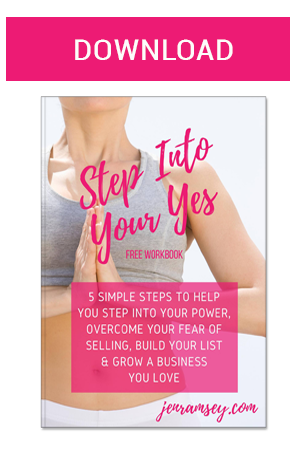 She now has clarity on what is bothering them most and what they need for her – and she’s using this to offer services they want to buy. As she’s in such constant contact with her community she’s attuned to their needs and is delivering the workshops that they want. This steady nurturing is leading to deeper insights that are opening more people to her. Do you have clarity on your audience and your value proposition? Are you crystal clear on what they will buy from you? The second trait of successful business owners is that they are rock solid in the value of their service – they have absolute certainty about the benefit they bring to their clients. They see their service as indispensable to their audience. Not only are they rock solid in their belief in the value they offer they are rock solid in their belief in themselves. They back themselves 180%. Think of someone you have bought from recently. What was it about them that attracted them to you? I can almost guarantee it will be this energetic sense of conviction and belief in their service and the value they offer. They are able to do this because they have a solid internal foundation and belief in themselves. Successful business owners have a level of self-confidence and self-worth that is palpable. This self-confidence is not ego-based – it’s coming from a place of inner peace and wisdom that what they are doing is for the higher good of others. As heart-centered business owners it’s important to remember the power of certainty – even on those days, you might not be feeling fantastic. Just remember EVERYONE has a bad day … even though we don’t talk about it much. The technique I use to manage these days is to remind myself that negative feelings are a passing thing. Just like storm clouds they can be here one minute and gone the next. Over to you – on a scale of 1 to 10 how certain do you feel of the value of your offer and how confident do you feel in yourself? If your answer is any less than an 8 out of 10 it might be a good idea to look a little more closely at what you might be able to do to increase your level of certainty and confidence so you can bring your score up. The final key ingredient to success is consistency. While we’d all love it there is rarely such a thing as “overnight” success. When we hear people interviewed on podcasts, or read their success stories in the news, we rarely the full backstory of the hard work and effort it took to get there. Most often success is the result of years of taking action every single day. Successful business people get up every day and take consistent action – despite how they are feeling or what’s going on around them. Consistent action creates success in a range of ways. One of the most important things it does is that helps you build a true, trusting and lasting relationship with your clients. When they see you regularly communicating with them – saying and doing things in a consistent way – they begin to trust you. How consistent are you in your communication and marketing with your customers? Are you spreading yourself too thin? Are you where you need to be and are you creating a consistent conversation with your audience? 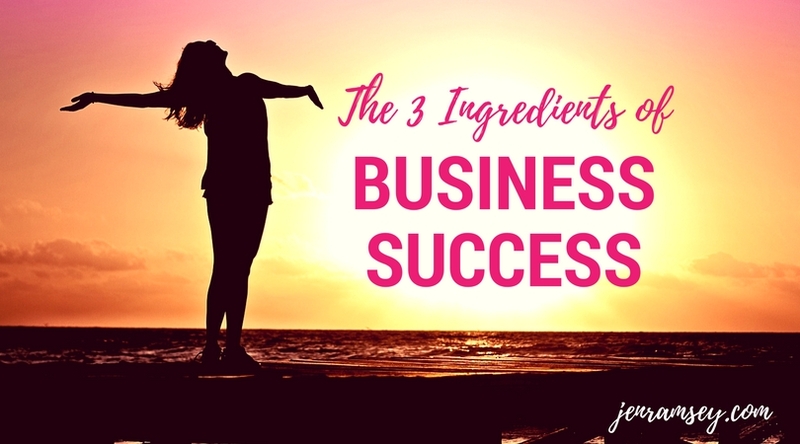 If you’d like to dive deeper into these ingredients of success and how you can apply them to your business join my Facebook Group: Fearlessly Authentic, Focused and On Fire With Jen Ramsey and attend the live workshop on The Three Ingredients for Soul Biz Success. The workshop is on at 4:30pm AEST, Thursday 7th September 2017. To attend join the Facebook Group here and register for attendance at the workshop.